Today marks Day 1 of my writing challenge. I love to eat healthy but the prep work can often be time-consuming. Not with this dish! It doesn’t take a great deal of pre-planning. 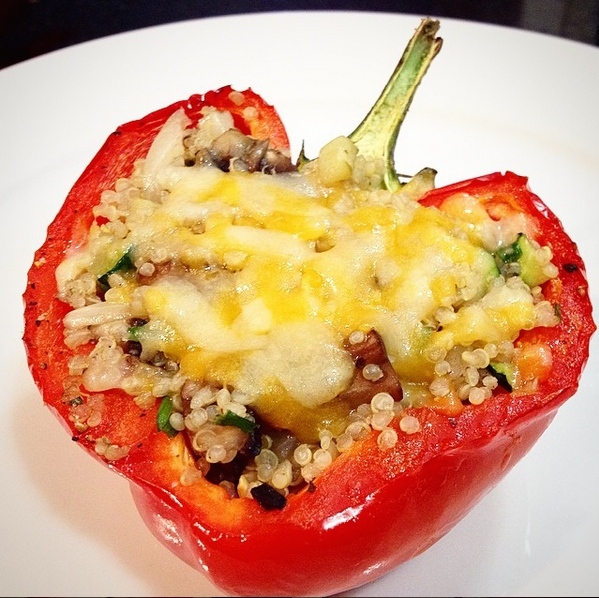 As long as you have a pepper, you can throw in whatever veggies you have in the fridge. Stir fry until tender— don’t overcook, especially if you’re planning on reheating these! Or you can cool and store in the fridge for later. Simply reheat later at 375 F until hot.